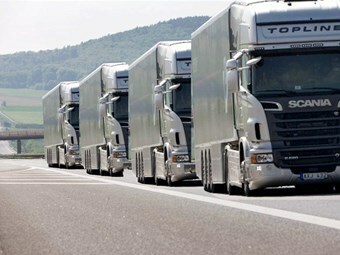 Scania sales improve in Europe, drop elsewhere. Despite a global drop, Swedish truck maker Scania increased its European market share during the first quarter of 2015 on the back of a 46 per cent increase in order bookings. Demand for Scania trucks in Europe rose from 8,500 to 12,446 in the first three months of 2015 versus the same period in 2014, taking the manufacturers’ market share to 17.2 per cent. Announcing the rise in a statement overnight, Scania’s president and CEO Martin Lundstedt, says the positive results stemmed from its updated range of Euro 6 compliant engines. "Our customer offering was very competitive in early 2014, as we had proved the performance of the new engines and had introduced Scania Streamline," Lundstedt says. "We also had the market’s broadest Euro 6 engine range. We have now built further on this and have introduced additional improvements." "Second and third generation Euro 6 engines have performed very well for our customers and in trade press tests and Scania’s position in the European market is very strong." However, Scania’s global bookings didn’t fare so well on the back of significant decreases in Russia and Brazil, falling 721 units (3.8 per cent) short of 2014. Bookings in Eurasia dropped 91 per cent to 271 units over the quarter, while Latin America decreased by 56 per cent to 1,768 units. Scania’s Australian sales are off to a "slower start than last year" according to public relations manager Alexander Corne, but in line with the overall market. "The order intake signs are positive and we aim to beat last year's tally so long as economic conditions do not deteriorate too badly," Corne says. "Last year we delivered 779 Scania trucks, so we aim to beat that number by years end." Scania has confirmed the V8 Euro 6 range will be on display at the Brisbane Truck Show in May but, as it is not yet mandated for introduction in the country, it will not aid the company to pass its goal. Earlier this year, Australia dipped to the third worst February trucks sales figure since 2003, with only the Global Financial Crisis (GFC) affected 2009 and 2011 seeing slower numbers. The rise in 2010, credited to the Federal Government’s GFC stimulus package, has the Truck Industry Council calling for governments to consider another initiative.